This week’s OOTW features Alice’s OOTD posted on the 30th of December 2010. 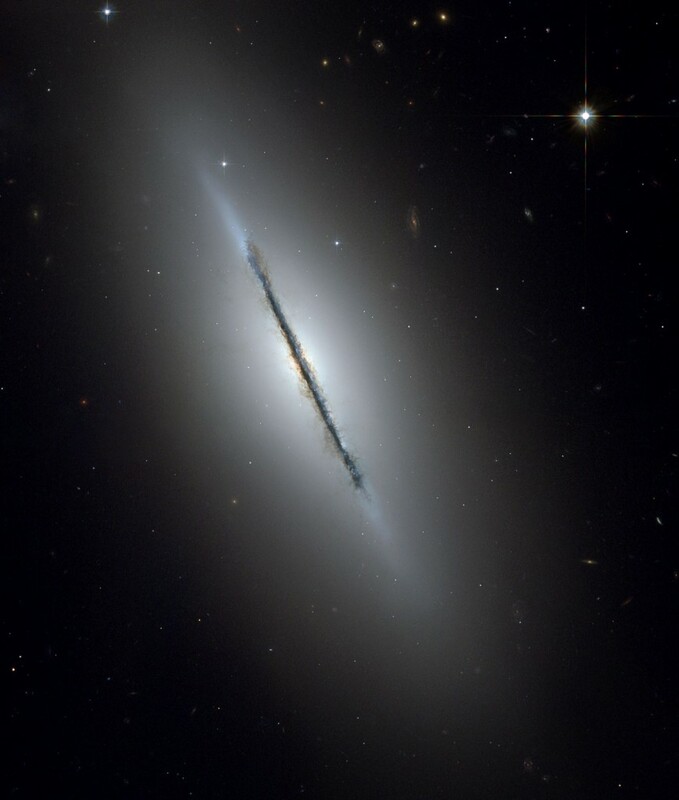 This is the Spindle Galaxy, otherwise known as NGC 5866. It’s a beautiful lenticular that lurks 44 million light years away from us in the constellation Draco. Lenticular galaxies are a bit like spiral galaxies in the fact that the main part of the galaxy is a flattened disk of stars, but like an elliptical galaxy they have no arms. The star forming material in lenticulars is mostly used up, so these galaxies mostly consist of old stars rather than new ones. NGC 5866, unlike most of the galaxies that share its morphology, has a dust line stretching through its galactic plane – its disk – and as the dust lane is perfect for churning out stars, it has a string of hot, young, blue stars accompanying it. The images on MAST and the Hubble Legacy Archive are certainly worth a look too! Is that a star in the background?